So, can't wait for King's UNDER THE DOME... ? For those who haven't read it I urgently recommend that you do: I read it years ago and thought it was nothing short of brilliant (it can be assumed that with King's return to the novel now about to clock in at some 1,800 manuscript pages that he has moved on from the novel's initial one-note premise, and as such all the more reason to read Ballard's original in order to see the road King probably went down during his first few attempts at this novel). Re: So, can't wait for King's UNDER THE DOME... ? How do you find out about all this stuff, Paul? Do you know when it will be published? Betsy_Boo wrote: How do you find out about all this stuff, Paul? Do you know when it will be published? 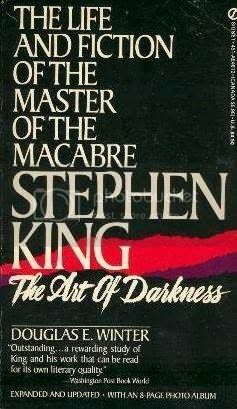 Ya mean to say, girl, you ain't never read Douglas E. Winter's Stephen King: The Art of Darkness (1984) or George Beahm's The Stephen King Companion (1989)? "Read is, maggots - you hear me?! Do it, do it, DO IT NOW!" As for when it's out... probably the end of 2009. I assume the East Coast people know by now that King is going to do a book tour for UNDER THE DOME this Fall. Yeah, Just waiting for the full schedule of shows and which one is going to be a signing or not. Well...if anyone hears anything be sure to post it! 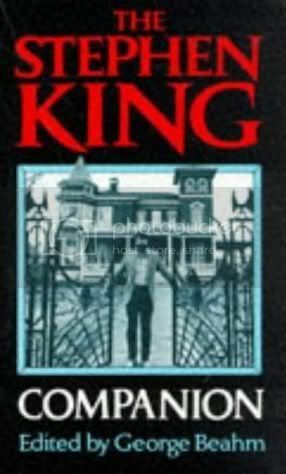 I sure wish Mr. King would book tour on the West Coast a little bit. Oh well. Hey, did anyone else order the Signed Limited edition of this book went it went on presale last week? Patrick wrote: I sure wish Mr. King would book tour on the West Coast a little bit. Oh well. Hey, did anyone else order the Signed Limited edition of this book went it went on presale last week? You know it!. I stayed up all night( 6am for CA) waiting for it, couldnt sleep.